You are probably familiar with all the problems that small homes create. The biggest challenge of all is to manage to decorate them according to your desires without having to give up anything because of the lack of space. Over the years we have presented several very promising and very practical pieces of furniture that would work wonderfully in small apartments or houses. Here we are with another ingenious creation. 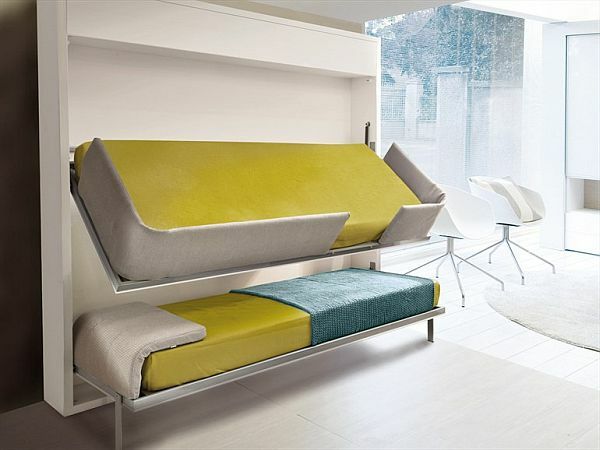 This is Lollisoft, a very ingenious and very practical design for a bunk bed. 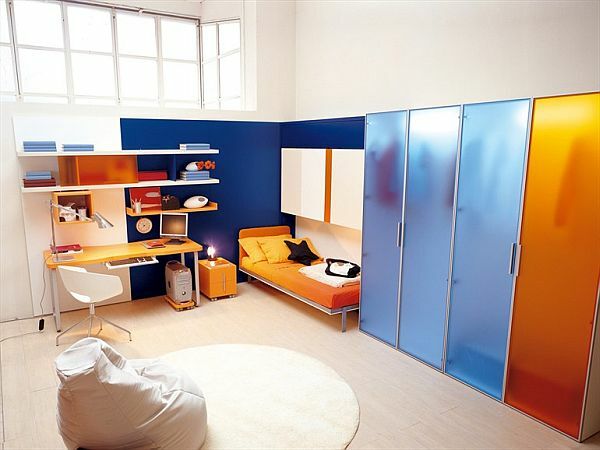 The most interesting element about this unit that it's a pull-down bunk bed that simply makes the beds disappear into the wall when not used. 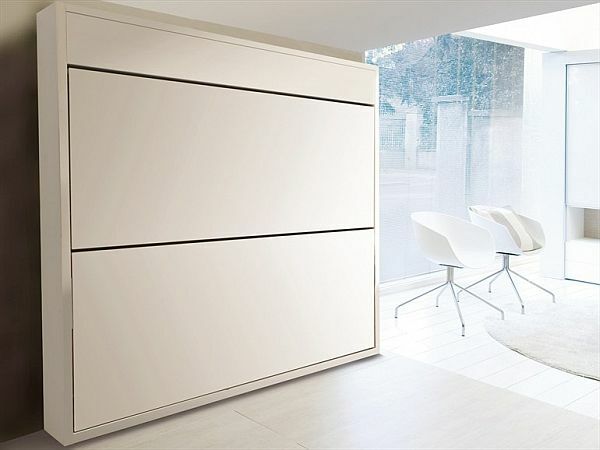 The unit has a very compact, simple and elegant design, with no unnecessary decorations or details. It features two comfortable bed, one on top of each other, They can each be pulled down when needed and they work independent one from the other. The Lollisoft unit was designed by Giulio Manzoni for Clei and it's part of the Lolli Colection. 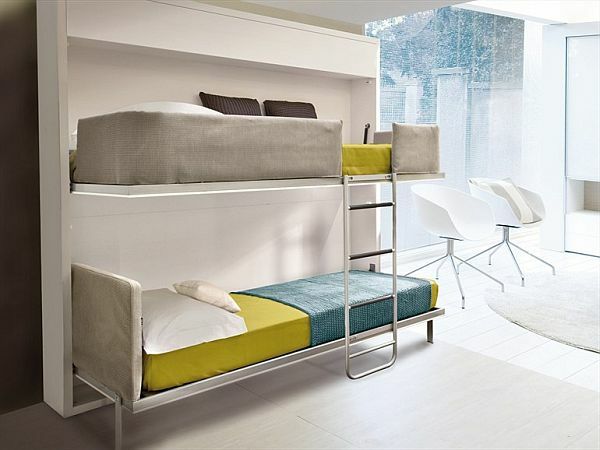 It's a very functional and practical bunk bed system with a loose ladder for easy access. The upper bed is provided with an innovative upholstered safety barrier and this also means that the unit is suitable for children. The bed also features a device that helps making the bed. The second bed has sturdy feet to rest on while being used. Subscribe to Homedit's Feed to get constant updates of our Awesome Posts!